DMRpresents: The Soccer Drills App – Dreams Made Real Inc.
Parent-coaches are the cornerstone of youth soccer, and therefore all soccer. Before players reach a higher level of soccer, they are introduced to the beautiful game by a dedicated parent who has been awarded, or has gotten stuck with, the privilege of coaching a group of individuals who have decided to join a team, or been dragged down to the practice field by a parent. 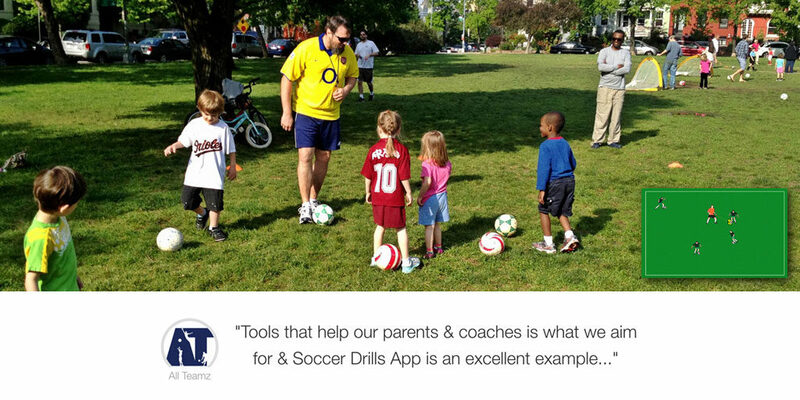 Soccer Drills App is here to help that parent-coach realize their full potential, or just survive 60 minutes at a time. FUN for the players – players are engaged and there is not too much standing around. Short attention spans are addressed with additional challenges worked into the drills and games that reinforce the skills learned during the drills. PRACTICAL for the coaches – even though we provide many drills, we have grouped them in a way that minimizes the field set-up changes, thus minimizing the time spent on adjustments and keeping the practice flowing. 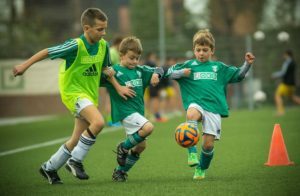 PRODUCTIVE for both coaches and players – in addition to being fun, our drills teach soccer fundamentals and draw from experience gathered playing and/or coaching soccer in the US, Europe, and the Caribbean. In addition to the free practice help offered to parent-coaches, Soccer Drills App also provides advice & tips addressing all sorts of questions that come up. Follow Soccer Drills App on social media to talk soccer and get other useful information such as articles published on youth soccer, coaching, and other developments regarding the beautiful game. Find Soccer Drills App on (just click): Facebook, Twitter, and The Soccer Drills App site. That is a good thing supporting our youth.